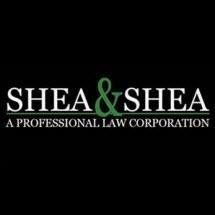 The San Jose law firm of Shea & Shea represents personal injury and wrongful death clients in complex accident litigation, particularly in cases involving traumatic brain injury, spinal cord damage, or other severe trauma to the central nervous system. Our lawyers serve clients throughout California, including the San Francisco Bay Area, San Mateo, Sonoma, Alameda, Monterey, Sacramento, Santa Cruz, Napa, Oakland, Sunnyvale, Morgan Hill, Cupertino, Campbell, Gilroy, Saratoga, Los Gatos, Hollister, Stockton, Modesto, Mountain View, Fremont, Palo Alto, Marin County, Contra Costa County, and Santa Clara County. Our San Jose personal injury attorneys also represent clients from other western states, including Arizona, Washington, Oregon, Nevada, Utah, and Hawaii.